Customize your look with KISS i-ENVY Individual Lashes TRIO Short (KPEC01). Kiss Trio Lashes offer a quicker process of applying lashes that lets you choose and customized the amount of volume. 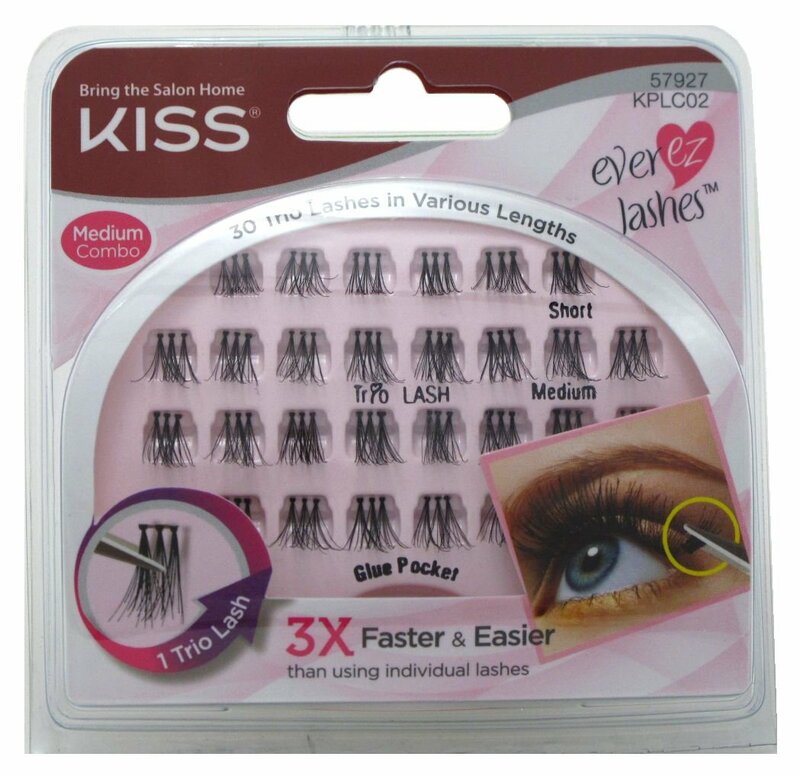 Similar to individual lashes, except Kiss Trio Lashes take your eyes from ordinary to extraordinary in half the time! Customize your look with i-ENVY Individual Lashes TRIO UltraBlack Medium (KPEC02UB). Kiss Trio Lashes offer a quicker process of applying lashes that lets you choose and customized the amount of volume. These lashes are Dark and Plump with more volume! ! Double the volume. Ultra Black. Customize your look with i-ENVY Individual Lashes TRIO UltraBlack Short (KPEC01UB). Kiss Trio Lashes offer a quicker process of applying lashes that lets you choose and customized the amount of volume. These lashes are Dark and Plump with more volume! ! 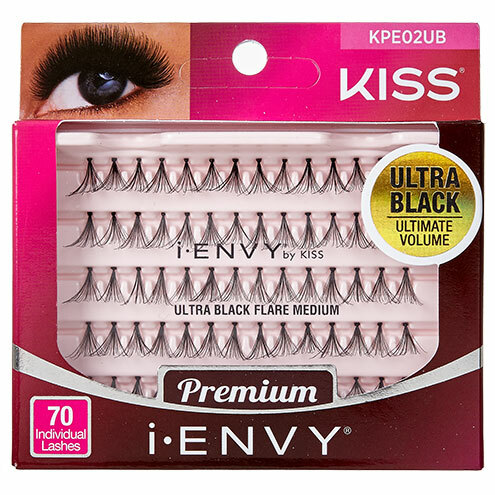 KISS i-ENVY Individual Lashes ULTRA Black Long (KPE03UB) have new innovative knot technology that offers 200% more volume than the regular individual lashes. 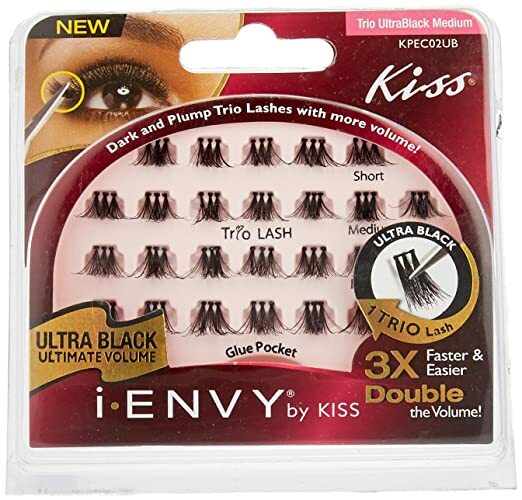 KISS i-ENVY Individual Lashes ULTRA Black Medium (KPE02UB) have new innovative knot technology that offers 200% more volume than the regular individual lashes. 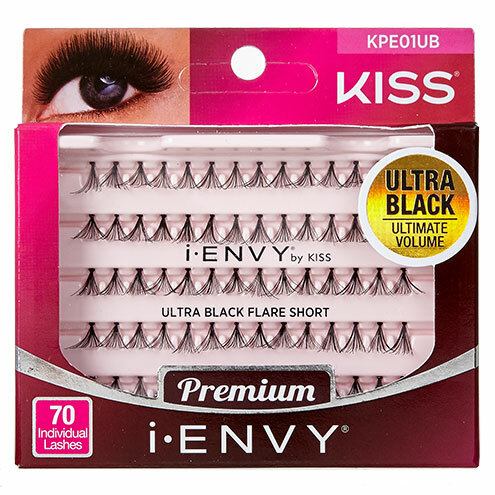 KISS i-ENVY Individual Lashes ULTRA Black Short (KPE01UB) have new innovative knot technology that offers 200% more volume than the regular individual lashes. 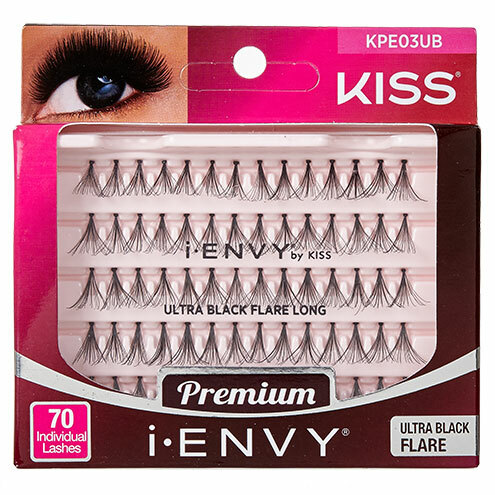 KISS i-ENVY Individual Lashes KNOT FREE ULTRA Black Medium (KPE05UB) have new innovative knot technology that offers 200% more volume than the regular individual lashes. 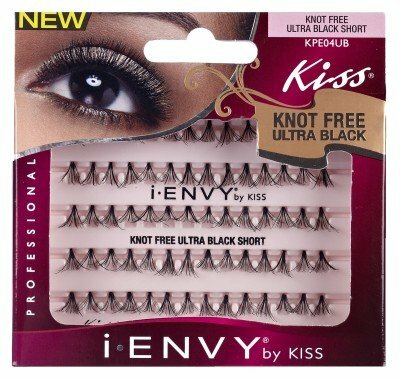 KISS i-ENVY Individual Lashes KNOT FREE ULTRA Black Short (KPE04UB) have new innovative knot technology that offers 200% more volume than the regular individual lashes. KISS EVER-EZ Lashes Lash Trio - BLACKEST BLACK (ShortCombo) gives the lashonista a great way to get the look of individual lashes in less than half of the time. Trio Lashes give you the best of both individual and strip lashes. With both short and x-short lengths, voluminous Trio Lashes create a fuller, more flattering look. Just add them where you need them, according to look you want to achieve. 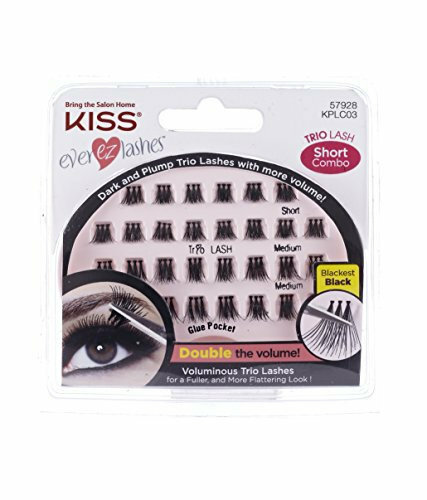 KISS EVER-EZ Lashes Lash Trio- MEDIUM COMBO gives the lashonista a great way to get the look of individual lashes in less than half of the time. Trio Lashes give you the best of both individual and strip lashes. Customized your look with individual lashes, an easy and fast process of applying lashes that lets you choose the amount of volume.